Join Jan's highly popular beach yoga class! What started off as a few friends getting together to reflect and let go of the previous year has turned into an event that attracts over 100 people. 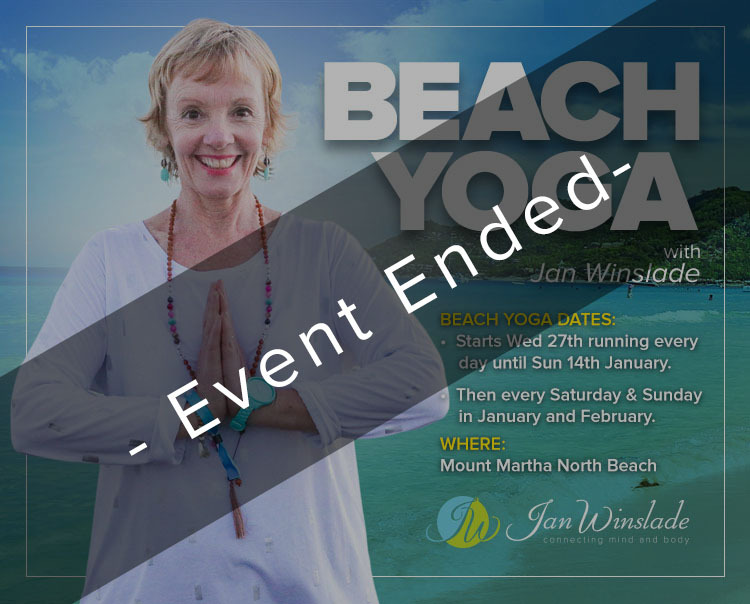 Located at beautiful Mount Martha's North Beach, come and experience yoga poses, breathing, and meditation that will help you let go of anything from 2017. Bring in the new year feeling energized, motivated and refreshed to take on and achieve your goals. Starts Wed December 27th running every day until Sun 14th January and Then every Saturday & Sunday in January and February.